» What’s this if not gun registration? What’s this if not gun registration? If you buy one of these, it will be registered with the state police at least for a while. While we’re waiting for Gov. 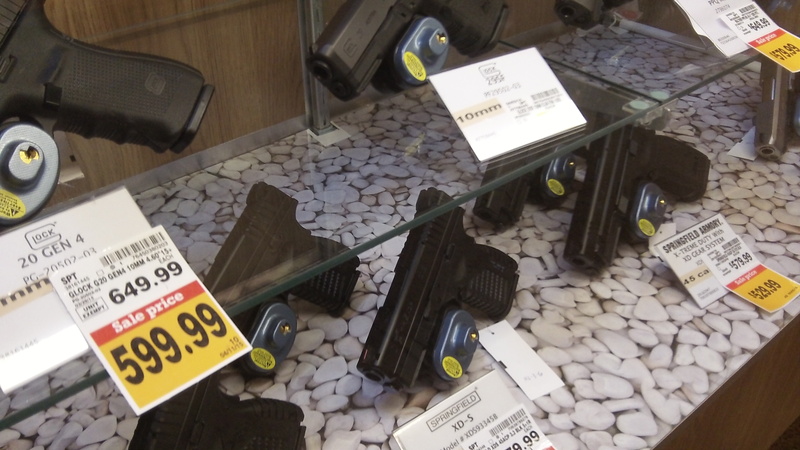 Kate Brown to sign the expanded firearms background check bill into law, how about one more little question: Why does the state police have to know specifics about a gun somebody wants to buy? I was under the impression the background check law we’ve had for years, and the expanded requirement that soon will apply to private sales and other “transfers,” was supposed only to keep guns out of the hands of people who should not have them. That was the argument made once again, repeatedly, by all the backers of SB 941 in the Oregon House on Monday. One of them was Rep. Dan Rayfield of Corvallis. He did not want to register any guns, he said, he just wanted to keep guns out of the hands of dangerous people, or words to that effect. Sounds reasonable. But then why is it that the state law requires gun dealers, when requesting a criminal history check of a prospective buyer of a handgun, to furnish to the state police, among other information, “the make, model, caliber and manufacturer’s number of the handgun being transferred”? Another section of the law applies that mandate to all firearms, not just handguns. The state law also says that “the department (of state police) may retain a record of the information obtained during a request for a criminal records check for no more than five years.” On its website the department flatly says: “Records of the transactions are kept for five years.” So there seems to be at least a five-year registry. It’s impossible to confirm this independently because the law exempts records of gun transactions from the public records law, meaning outsiders can’t take a look to see how old those records are. The state police also check, helpfully, for stolen guns, but that doesn’t seem to be a concern when you buy a weapon, brand new in its box and still a little oily, from a dealer. As for transfers from one private person to another, it’s helpful for the police to have a list of guns reported stolen. But the list would have come from owners’ reports to the local police, not from information provided during legitimate transfers. You hit the nail on the head. Our Oregon politicians are irritating to say the least. Irritating on their good days. Mostly detestable on their normal days.